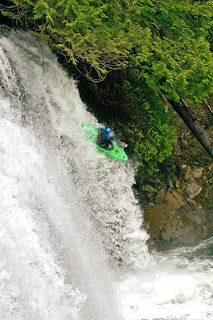 Front Range kayaking adventurer Evan Stafford will compete at this year’s Smith Optics Lyons Outdoor Games, presented by Oskar Blues, a three-day, extreme multi-sport event held June 12-14 in the Town of Lyons, Colo. He brings more star power to an already celebrity-packed event. A resident of Fort Collins, the 29-year-old Stafford has spent the better part of the last decade checking out wild and scenic rivers in his kayak. “My focus in kayaking has always been on exploration,” says the man who discovered his love for kayaking on the Cache la Poudre River. 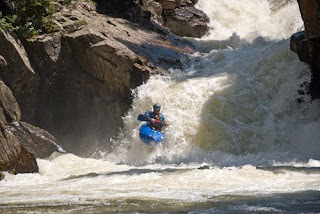 His love of new terrain led to his co-authoring of the guidebook, “Whitewater of the Southern Rockies,” which he wrote with Kyle McCutchen in 2007. Giving back felt so good, he adds, that soon after writing the book, both he and McCutchen began volunteering with the Rocky Mountain Junior Kayak League, a group designed to promote proper stroke technique, river running strategy and swiftwater rescue skills in the kayaking youth of Colorado. The league consists of teams in Denver/Boulder, Fort Collins, Steamboat, Buena Vista, Vail, Glenwood Springs and Durango, and is growing every year. “The focus is on fun and safety but we also have competitive meets, take the kids to whitewater festivals across the state and explore rivers outside of our team towns,” Stafford says, adding that he hopes to bring some of the kids to the Lyons Outdoor Games as well. In addition to racing kayaks, and working with kids, Stafford recently began working in video production and web marketing. He is also working with American Whitewater to develop instream flow targets to help protect the ecological integrity and acceptable whitewater flows in negotiations over the future of the Upper Colorado River. Stafford will compete in the creek boating event, which is held on the Class V waters of the South St. Vrain River. 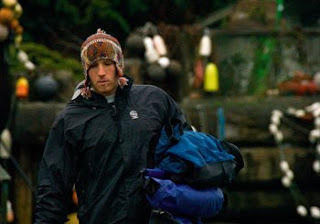 He is currently sponsored by Liquid Logic Kayaks and Werner Paddles, among others. For more information or to chat with the athlete, please contact: Lizzy Scully, 303-903-2768, girlsed@gmail.com.